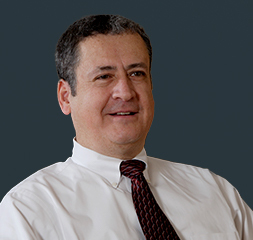 Prior to joining Fractal Systems, Mr. Gasca was CEO of Ivanhoe Energy, a publicly traded energy company with operations in California, Canada and China. He was based in Bakersfield, California. Prior to Ivanhoe, he was General Manager of Operations for BG Group in Reading, England where he had global operational responsibilities including the upstream, LNG, transmission and distribution, and the power sectors. Mr. Gasca began his career as a petroleum engineer with Texaco in 1979, and stayed with the company until it merged with Chevron in 2001. While at Texaco, Mr. Gasca held a number of positions including Vice President of Commercial Development, where he directed technology development for, and global technical support to, Texaco’s upstream organization. He was also Advisor to the President of Texaco’s Worldwide Upstream, as well as Texaco’s Senior Executive in Scotland managing the company’s North Sea assets. He graduated from the University of Texas at Austin in 1978 with a Bachelor of Science in Petroleum Engineering, and he currently serves on their College of Engineering Advisory Board.